Thanks to the fabulous beatiful people who came out last night to see us @pub_queenshead in Burly! They were rocking the dance floor all night and some even help with backup vocals! WhiteSpace advances to the Govfest.ca grand finale Showcase event on Friday, Nov 20th. 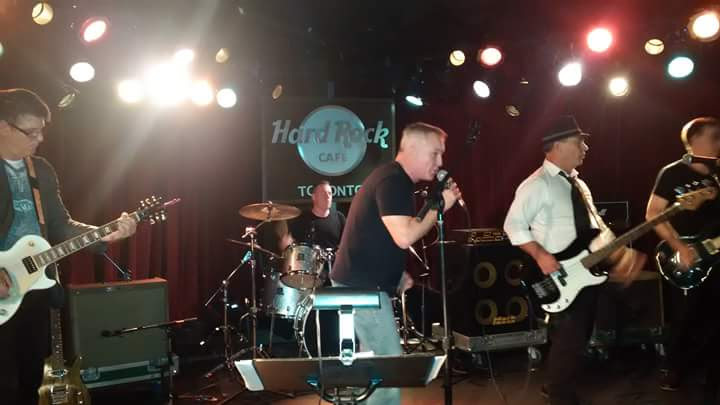 WhiteSpace performing @ The Hard Rock Cafe in Toronto. WhiteSpace rocked the Hard Rock Cafe on Nov 6th and won a spot to advance to the knockout round Nov 13th @ The Hard Rock Cafe! WhiteSpace won the battle round @ Velvet Underground on Nov 20th. We are advancing to play in the Grand Finale @ Glen Gould Studios (CBC) on Nov 26th in Toronto! This event will be a battle between the four winners of the four battles that took place Wed-Fri Nov 19-21! WhiteSpace rocked the Island again on September 4th to a session 2 dancing crowd! Thanks Henley Rec Rowing Club! BarnStock '14 was a great success with so many great acts - duets, solos, trios, bands. Here is a video clip for you all.